KAMPALA – The Foreign Correspondents’ Association of Uganda (FCAU) an umbrella organisation of journalists working in Uganda for foreign and international news-media has Tuesday, August, 14 warned security agencies against violation of journalists rights. In a statement released Tuesday afternoon, FCAU said that they have received information that journalists in Arua have been assaulted and detained by security forces and that equipment has been confiscated. “The authorities must release or charge all journalists detained in Arua, provide access to suitable medical care for those detained and investigate allegations of assaults on the media by security forces,” they noted in a statement. Various media houses on Monday evening including NTV and NBS televisions reported that their journalists went missing following the chaos and gunfire that rocked Arua town when they were reporting live about the death of MP Robert Kyagulanyi’s driver who was shot dead. Some of the journalists that went missing include, NTV’s Herbert Zziwa and cameraman Ronnie Muwanga but the duo have been released from Gulu Central Police Station on bond after being charged with incitement of violence and malicious damage of property. 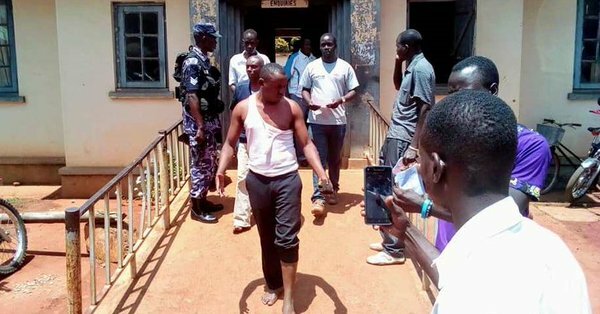 It was later reported that they had been arrested and were being detained at Arua Central police station before being transferred to Gulu Central Police Station. Last year, journalists who were marching to commemorate the World press freedom day were badly beaten before being arrested by police in the city centre. On most of these and many other occasions that have gone unreported by the media, police has walked away with impunity.